Haitians have no respect for the Justice System in Haiti - True or False? Let's take of the case of Guy Philippe for instance. If he was sentenced in Haiti for 9 years. He would not spend a day in jail, one man said on a radio program. Depending on who gets arrested in Haiti, a simple manifestation (protest) in the streets and he is released. Depending who gets arrested in Haiti, a simple phone call from a high ranking official and he is released. 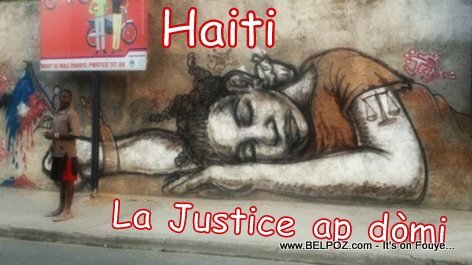 What are we doing in terms of justice in Haiti? Prenons le cas de Guy Philippe par exemple. S'il a été condamné à Haïti pendant 9 ans. Il ne passerait pas une journée en prison, a déclaré un homme sur un programme de radio.